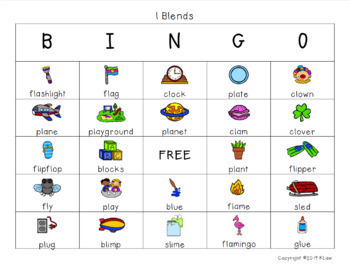 This is a great way to practice beginning l blends! This game comes with 30 BINGO cards and calling cards. When I play with my students we use cereal for game markers. When we finish playing, we eat our game markers and everyone wins! 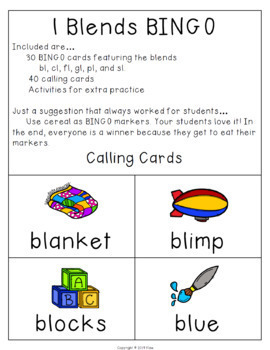 Also included are printables to reinforce beginning l blends. 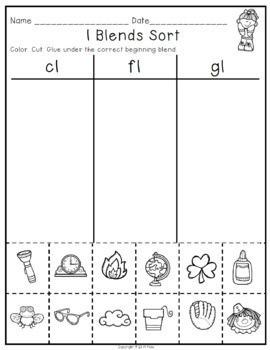 This game can be used for whole group, small group, centers or stations. 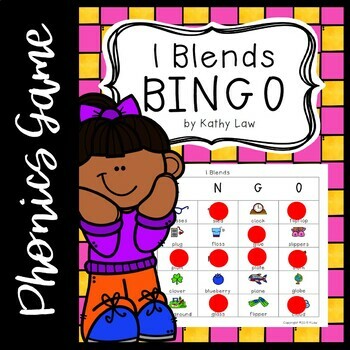 This game was created by Kathy Law for kindergarten, first grade, second grade, or anyone who needs extra practice.